Contrary to popular opinion, Every House Does Have a Buyer and sometimes homeowners of distressed houses just can’t get out of their own way to rid themselves of an ongoing and costly house problem. It’s not entirely their fault as the real estate industry does little to educate a niche market that they really have no interest in. In looking at the numbers, it’s obvious that the core of real estate agents marketing efforts and budgets are focused on high dollar, market-ready houses that fetch fast sales and high commissions. Real estate agents are not interested in getting involved in houses that do not yield fast sales or high commissions. That means that nicer neighborhoods with nicer houses get targeted first while others tend to linger on the sidelines. As a result, most homeowners of distressed houses just don’t know what their options are because the industry has neglected these homeowners for years. They are termed Ugly Houses, run down houses, tear downs, etc. and there are very few outlets for distressed houses in many neighborhoods. I am also convinced that homeowners just don’t know where the resources are that they desperately need. Most of these homeowners I have talked to had a tendency to think that they were unique or they were the only ones going through the situations that plagued their houses. The truth is that many of their neighbors may have the same issues. Maybe the path to the distressed house was different, but it is still a distressed house and no one is speaking directly to them. While most communities only have a limited number of reputable real estate investors or cash home buyers, there are hundreds of real estate agents, it’s easy to see why the cash home buyers fail to connect with homeowners of distressed houses. Even my marketing campaigns including several “We Buy Houses” signs, postcards and mailers fail to attract the people that need to sell their houses. As real estate investors, we are drowned out and the conventional methods of attracting homeowners that need to sell their houses tend to win out often providing negative results for the homeowner. 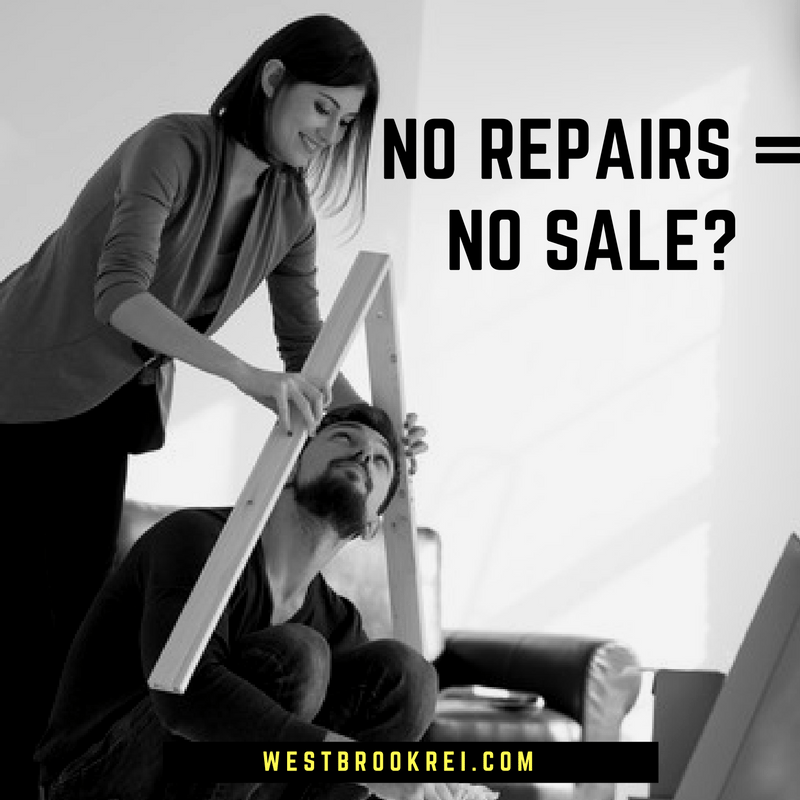 Many homeowners have told me that they tried to talk to the real estate agents but they were told that they couldn’t help them unless they had thousands of dollars to spend on repairs and updates. Many homeowners just don’t have that kind of money to risk on investments that they may never recoup. I also am often told that “we are so embarrassed to be in this situation” and that calling someone else about our problem house is very difficult and we just didn’t think we had any options. We didn’t know that you existed. Can you imagine believing that you are forever trapped in a house that has so many problems that you can’t afford to do anything? There is no doubt that when it comes to the ongoing maintenance of a house, that homeownership is much more costly than renting. It is also understandable that so many houses fall into “Chronic Disrepair” for that very reason. With so many people just hanging on by a thread, maybe it’s a loss of a job, stagnant wages, or a bad mortgage that is just consuming every bit of a paycheck, many homeowners that I have talked to barely have enough left over to make minor fixes let alone major repairs. Do You Have the Time or Energy? Another growing concern is with the aging of the population, especially among the Baby boomers, many are living on fixed incomes in houses that have zero balance mortgages, but the houses need so much work that the homeowners are afraid that even if they fix the problems that they won’t be able to recoup the expenses in a sale. They don’t realize that they could sell their house in its current as is condition and cash out rather than live in a house that holds them prisoner. 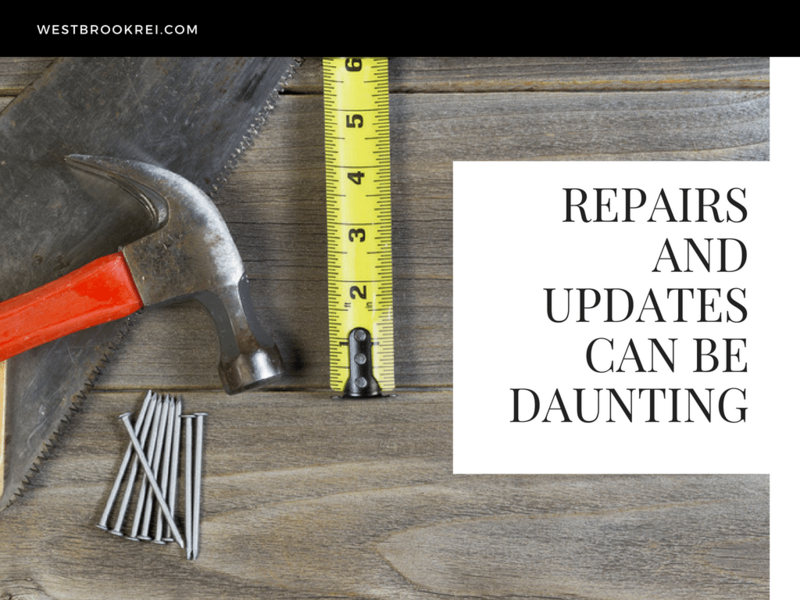 Houses fall into disrepair for a number of reasons but the most common and costly are the ones that receive little or no attention (known as Deferred Maintenance) and end up becoming chronic ongoing problems for the homeowner. What started out as a $500 repair quickly escalates to $5,000 in a matter of months or even years. House maintenance issues cannot fix themselves and left unattended will greatly affect the health of the rest of the house. The most common Deferred Maintenance issues can be traced to the following. Water leaks from Toilets, bathtubs, and faucets cause mold, mildew, and decay to all surrounding areas. Termite damage is also common. Fallen branches have damaged garages and houses cosmetically or structurally. We all have internal conversations about the things we’re convinced we can do nothing about, but mostly when a house is a persistent problem, those conversations are validated by the facts as we see them and sometimes it means that we just need a little more information. Lack of knowledge or understanding of Real Estate transactions (we don’t know what we don’t know) We can help and we pay cash. Do You Really Think Your House is Unsellable? Unfortunately, the vicious cycle will continue right up and to the point that we talk to someone that can actually do something for us. We will continue believing what we’ve been told by others or what we’ve told ourselves is true. In every case where I have purchased a “problem property”, the homeowner was convinced that there was nothing they could do. But they all had one thing in common: they were amazed at how simple it was and how quickly I could make it all happen. It all starts with a phone call, an email or a text message. At some point, someone initiates contact and the wonderfully simple process of selling a house for cash begins. Two people; one needing or wanting to sell and the other wanting to buy. It does not get any simpler than this and the process begins. I have talked with hundreds of homeowners that just didn’t know that they had any options to sell the house that had caused them so much pain and grief. Why? We talk to the wrong people and sometimes they validate our hopeless beliefs! Every house is different and has its own challenges and solutions. So as homeowners we talk to trusted family and friends, even trusted Realtors®. Let’s face it, everyone is an expert and everyone has an opinion and sometimes the people that we trust the most are just plain wrong. Everyone would agree that owning a house comes with responsibilities, but sometimes we don’t choose to become homeowners. Sometimes that decision is made for us and we inherit a house with problems. We also inherit the emotional ties and memories and guilt at the expense of realistic conversations about how to best deal with the property. 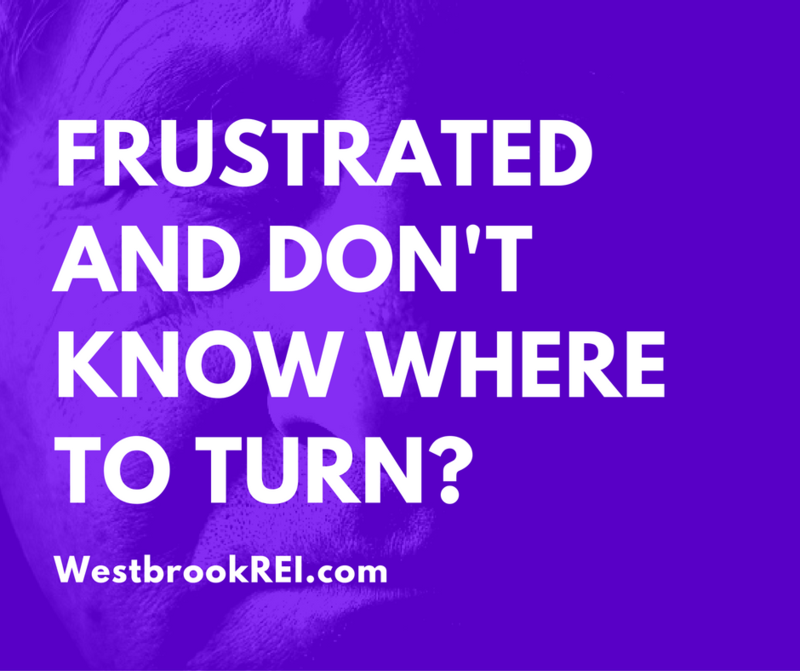 Whatever the reason, there is a solution when you talk to a real estate investor that is concerned with your specific situation. Like I said before, every house and every need is different. Learn More Here. We Buy Houses in Stockton Give me a call – (209) 481-7780 Let’s see what we can do!